Tatra a.s., was founded in 1850 and ranks among the oldest automobile companies in the world. Since its start, the company has been based in Koprivnice, a town situated in the eastern part of the Czech Republic, in the Moravian-Silesian Region. At present, the company’s core product range consists of heavy duty off-road trucks and trucks for combined off-road and on-road transportation. 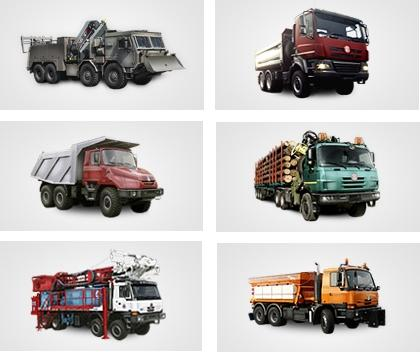 At Tatra, upgrade and development of the trucks is a never ending and continuous process. An important asset to Tatra, not only in the area of development, but also production possibilities, is a high standard of human potential. TATRA trucks are primarily based on a unique chassis concept which so far no one has managed to rival. Another great asset of the Koprivnice trucks is their high mobility on the most difficult terrains in extreme climate condition, and last but not least, their reliability. Tatra is a truck which can adapt to bitter cold Siberian frosts, but also to extremely high temperatures of the African Sahara. The current truck range with its great variety can satisfy various customer needs. The range consists of four basic lines, which include TERRN°1 and JAMAL civilian lines and ARMAX and FORCE military lines. 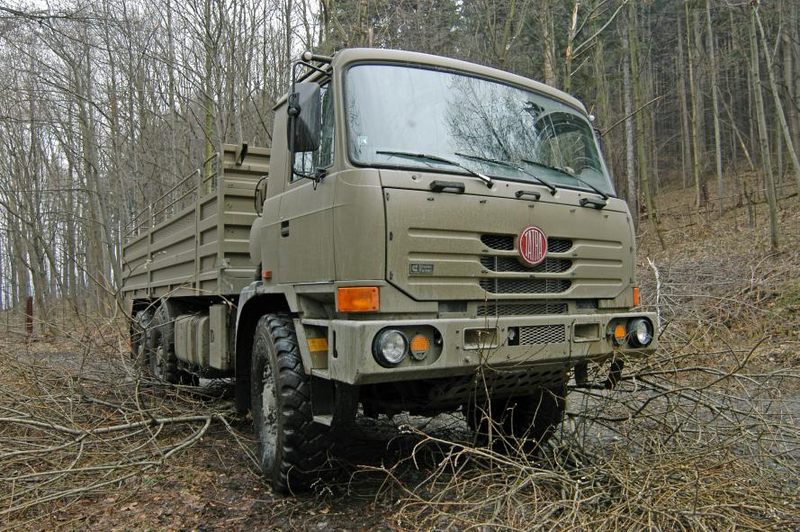 The category of TATRA military trucks has been widened with new special T815-7 military trucks. Also, a middle T810 truck is a new type. 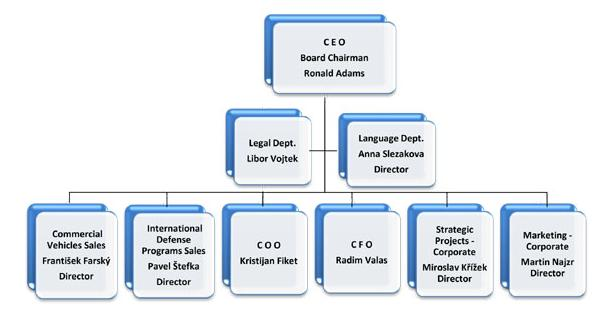 Among established and significant sales territories of the company there are Russia, former CIS, India and Europe; of course, there is also the domestic market, where among the customers, the Army of the Czech Republic plays a predominant importance. Over the last years, also Australia has been among significant sales territories; new contacts have been found and are being established in Americas, too. Excellent driving characteristics and many technical innovations of the TATRA trucks have been proved at the marathon rally tracks over many years. TATRA trucks have reached the most notable achievements in the well-known Dakar Rally, which is closely linked with the name of the TATRA truck driver Karel Loprais. His six victories still rank him among the most successful contestants of this rally. Also, Tomáš Tomecek regularly competes for the Dakar laurels. His biggest success so far in the colors of an independent team has been second place. Truck serviceability and reliability do not only depend on their good design tested in many hard tests and proved by long-run experience from the vehicles’ operation in harsh conditions, but also on a due and regular maintenance of the vehicle. 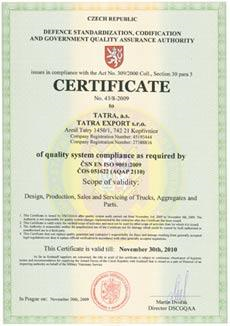 If you maintain TATRA trucks regularly, you will raise flawless and economical operation of the vehicle in hard operation, in which TATRA trucks are used. Quality and timely maintenance influences vehicles’ reliability. By quality and timely we mean that it is carried out by trained staff in a workshop equipped with proper tools, jigs and aids, and particularly in regular intervals as given in the Operation and Maintenance Manual for a given vehicle type. Truck quality, for a long period of time, has not meant just quality of the product itself, but its inseparable part has also been a well-running sales support including mainly good quality service network and fast availability of spare parts. 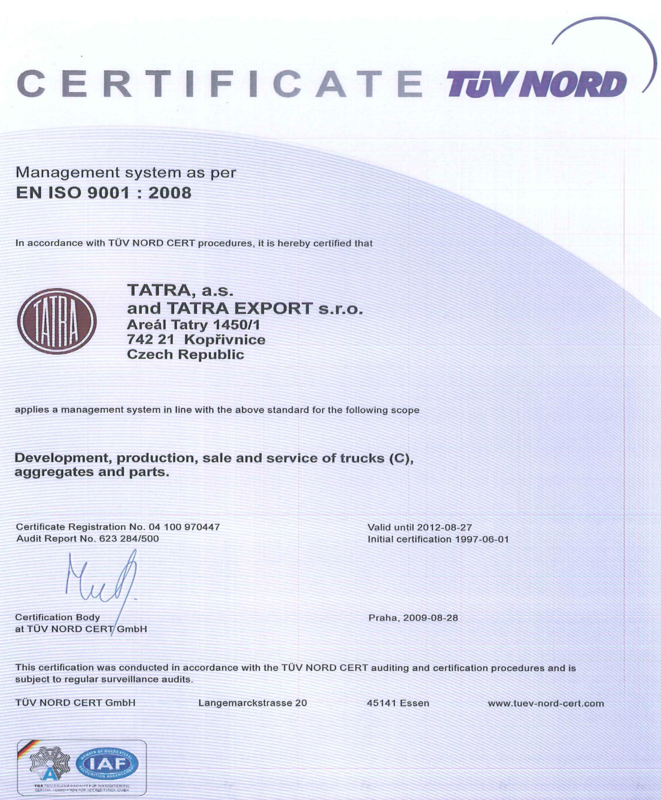 TATRA truck producer’s high requirements, regarding contractual service repair shops, mainly with respect to assessment of their systems, equipment, use of special jigs and tools, regular training of individual service staff in their parent company or directly in a specific destination of TATRA truck sales and operation, represent required level of guarantee to all activities carried out. Our role is to arrange trainings and training events to meet service area needs. We are ready to offer all TATRA contractual partners all the information available to service our products, as well as to carry out their service and maintenance. We are also ready to train their personnel to be at the professional level. Furthermore, we know how important it is not only to keep such level, but also to increase this level in terms of development of new technology methods and trends in the automotive industry. We, through our training, participate in the professional growth of their employees, technicians and service workers. The current development of automotive technology automatically leads to adequate training needs, as well as to the costs related to that. The form of our special training, organized within our capacity, can partially meet such needs together with lower expenses. 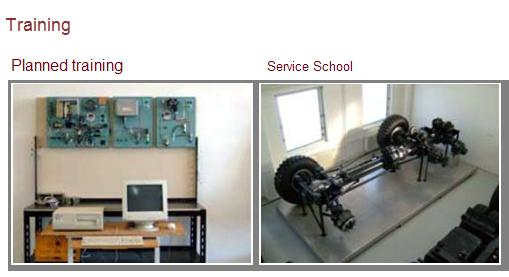 We offer professional training for service staff which is focused on operation, maintenance, repairs and design of TATRA vehicles. Our training courses are conducted both for domestic and foreign workers directly in our Service School or, if requested and agreed, also at a specific destination site of TATRA vehicle operation. TATRA trucks are a result of creative brilliance and craftsmanship of the best designers and workers. Clear visionary ideas combined with a zealous heart gave a birth to a Tatra vehicle design concept, which entered automobile history in golden letters. Since its start, TATRA trucks have been pre-determined for the toughest off-road and climate conditions. The backbone frame with independently suspended swinging half-axles, directly air-cooled, highly reliable and powerful engine and a combined suspension system of mechanical springs and air-bellows guarantee such off-road driving characteristics which no other vehicle can offer. Thanks to this unique concept, TATRA vehicles are able to achieve high speed even in tough terrain. Extreme frame rigidity decreases torsional and flexural superstructure load of the and thus extends its durability. Over the last years, TATRA has significantly decreased harmful emission level in the exhaust fumes. Modern, but still very original air-cooled TATRA ON AIRTM engines are still very environmentally friendly. TERRN°1 vehicles, the most demanded and sold products of TATRA, a.s., represent a core of the company product range. The TERRN°1 line includes a wide range of trucks of a unique design providing these vehicles with excellent driving characteristics not only on roads but particularly in difficult terrain and adverse climate conditions. The cab-over-engine chassis and tippers of this range are designed to be used in the civilian sector not only in difficult terrains but on standard roads as well. An important segment of the TERRN°1 range trucks is represented by chassis used as platforms for superstructures made by specialized producers - mixer trucks, concrete carriers, tank trucks, fire trucks, mobile cranes, utility service trucks, log trucks, container carriers, box bodies, special-purpose superstructures, platform trucks, tippers and agricultural trucks. All these vehicles represent excellent products ready to meet the most exacting customers’ requirements. All the vehicles comply with Czech and European legislation, their engines meet EURO 5 emission limits. The T 163 – JAMAL range design is based on the most successful TATRA truck versions. 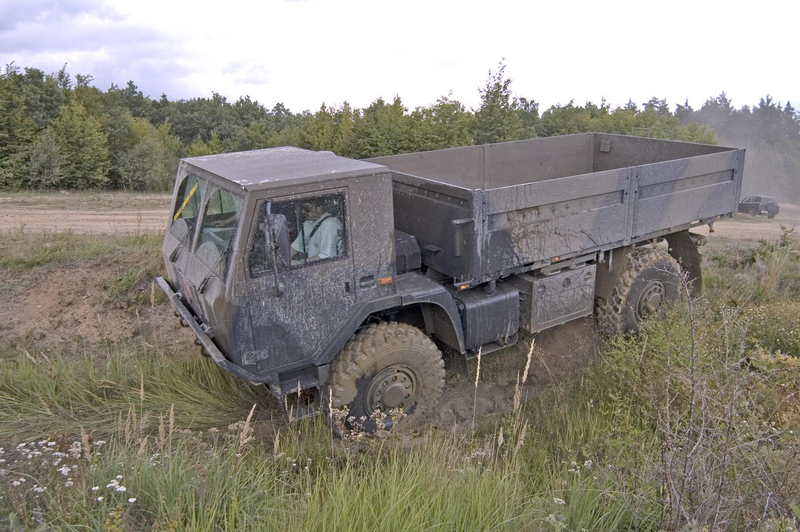 TATRA, a.s. is one of a few European manufacturers offering these heavy-duty cab-behind-engine tippers for road and special off-road operation. Heavy-duty off-road cab-behind-engine trucks are especially suited to large construction sites, quarries, mines and a variety of other places where difficult terrain does not allow the operation of standard trucks. The robust structure of these trucks tested and proven in the harsh conditions guarantees their high reliability, durability and low maintenance requirements. Many of these vehicles are fitted with a body heated by exhaust fumes to prevent any transported loose material from freezing or freezing onto the body. This is a part of the T 163 range. It is a robust tipper designed for operation on extremely difficult boggy and muddy ground. The vehicle is fitted with 12.00R24 tires with double mounting on rear axles. A special version of the work machine is a so-called “Máša” which has 16.00R20 tires at the front and a so-called wide tank type of 24R21 single tires at the rear. Special chassis cross member spacers, 250mm thick in the front and 300mm in the rear, lift the bonnet and the body high enough to provide sufficient space for the turning radius of the vehicle’s large, robust wheels. Although the modular design of TATRA vehicles uses TATRA air-cooled diesel engines as standard, certain other foreign manufactured liquid-cooled engines can be installed as an option. All Armax vehicles comply with European EURO II or EURO III emission standards namely in the case of TATRA engines without an electronic fuel injection system. The vehicles are produced in 4x4, 6x6 and 8x8 specifications with various modifications according to customer’s requirements. Their modular chassis configuration is available in 6x6, 8x8, 10x10 and 12x12 versions. FORCE trucks are particularly suitable as a chassis for various special-purpose truck bodies such as a platform truck, hook container loaders, tanks, crush trucks and weapon system carriers. Moreover, FORCE trucks have proved to be perfect fire fighting vehicles because their powerful engines and automatic transmissions meet requirements on high acceleration and excellent mobility necessary to fight with wild fires in terrains inaccessible to other trucks. This new range of vehicles is designed to operate in extremely difficult terrain and climate conditions, to support peacekeeping missions and to be used in combat operations of war conflicts worldwide. Outstanding driving characteristics of the Tatra chassis on difficult terrains and its resistance to torsion, flexion and vibrations makes TATRA vehicles extremely suitable for transporting not only people, but also special and sensitive military material and special-purpose truck bodies, such as ammunition transport containers, electronic devices, radar and other special containers and box bodies. The chassis is also suitable for fire brigades and intervention forces. The vehicles were designed with particular emphasis on military vehicle requirements according to the standards applied by NATO and armies worldwide, including the Czech Republic Army. In addition, the vehicle design respects civilian legislation requirements and they can be, therefore, used as a special-purpose chassis in the civilian sector, for example cranes or fire superstructures. These new range vehicles have strong unification links, but their design allows to use a wide variability of engines and powertrains – from air-cooled engines of own production to water-cooled engines made by various manufacturers. A relevant engine type can be combined with mechanical or automatic transmissions of various producers. Design of these range vehicles allows a subsequent assembly of additional cab armoring at several levels of protection as per STANAG 4569. The T810 range is represented by three-axle vehicles of medium truck category of maximum gross weight of 13,000 kg. The medium truck has a great mobility in difficult terrains and it is designed for transport of both material and people. Behind the vehicle, it is possible to connect a trailer of up to 12,000 kg. Unlike the classical TATRA chassis concept with independent suspension of axles and rigid backbone frame, this truck chassis is based on rigid portal axles with wheel hub reduction gears and a bolted ladder frame. The axles have big clearance and are equipped with disc brakes, differential locks and CTIS system (air pressure adjustments in tires during the drive). The front axle is suspended by coil springs, the rear axles by leaf springs. The three-seat cab has a roof hole for a possible machine gun carriage installation. The cab floor is reinforced against hand grenade fragments and anti-personnel mines in level 1 as per STANAG 4569. All the above versions have undergone difficult military tests and have been introduced in the Army of the Czech Republic. The vehicle is designed and equipped to be operated in difficult terrains and used during a long lasting duty in the aftermath of natural disasters. A hermetically sealed cab also enables rescue and recovery operations during various industrial accidents and disasters. Jordan Light Vehicle Manufacturing LLC. 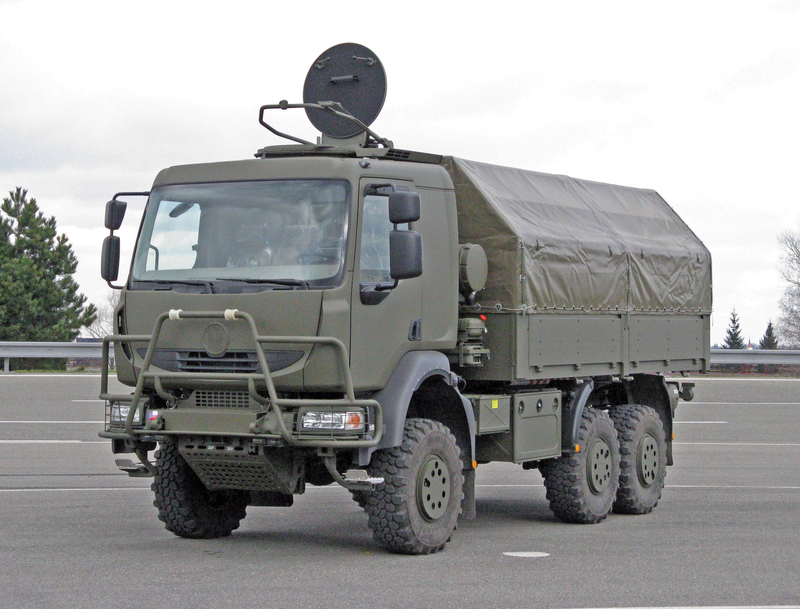 HDVS - Hellenic Defence Vehicle Systems S.A.